Happy New Year to all our customers and friends. The days are starting to get longer, get down to Peppers to celebrate! 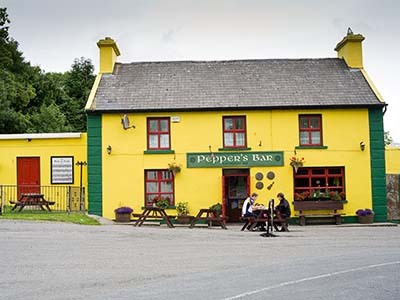 Established in 1810 and famous for traditional music and song, Pepper's of Feakle, "Pepper's Bar" is considered the cultural centre of East Clare. Serving food all day, the motto at Peppers Feakle is, "Home cooking at its best at a very affordable price". 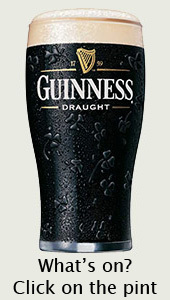 Open early 'till late you can soak up the traditional atmosphere with lots of music and craic. There is always a wonderful atmosphere in Pepper's Pub with regular traditional sessions. 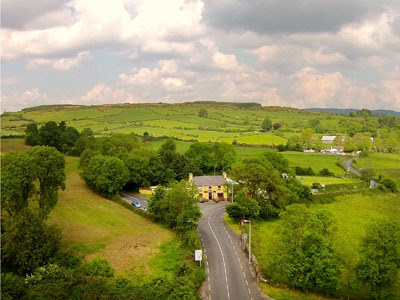 Many of the world's finest traditional musicians have performed here including, Martin Hayes, Liam O'Flynn, Matt Molloy, Altan, Sharon Shannon, Kevin Crawford, Tommy Peoples, Jackie Daly, Begley and Cooney and many more. Every August the Peppers Feakle is at the centre of the internationally known traditional music Festival. Throughout the festival Peppers bar provides breakfast, lunch and dinner for festival goers as well as being the venue for many events including the ceilidh with the Tulla Ceilidh Band. 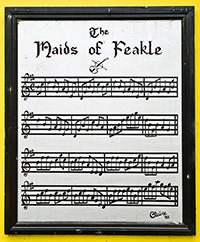 The traditional tune 'The Maids of Feakle' is on the wall of Peppers Feakle.